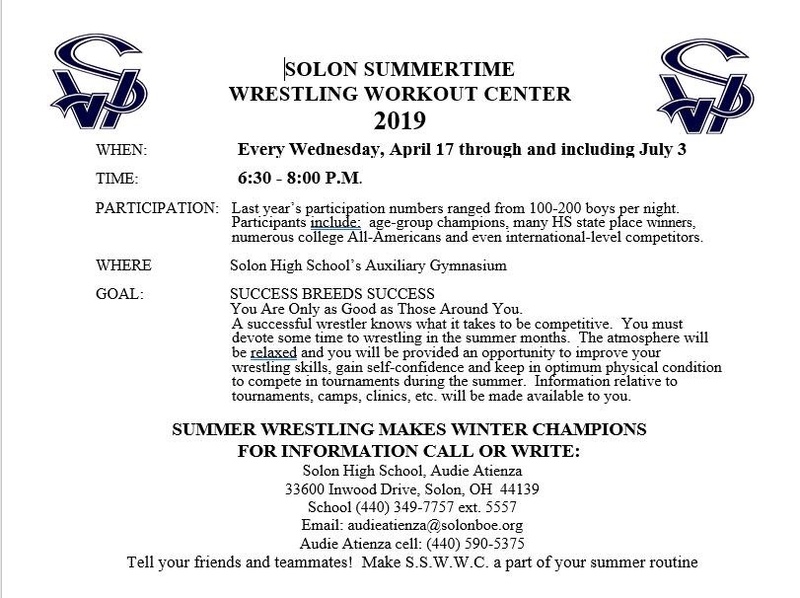 Solon Summertime Wrestling Workout Center aka Solon Open Mats starts on Wednesday, April 17 at 6:30pm. Open mats will run every Wednesday from 6:30p-8:00p throughout the summer. On more than one occasion I rented a 12-passenger van, met a group of wrestlers on the north end of Columbus, drove to Solon (2.5 hours), participated in the open mat, showered, and then returned home and to school/work the next day. What a great tradition. Thanks for Hosting Solon!!! !